Are you feeling sad because you are single? You must be feeling like there’s something wrong in your stars that’s keeping you single for so long. There’s no good in it, right? 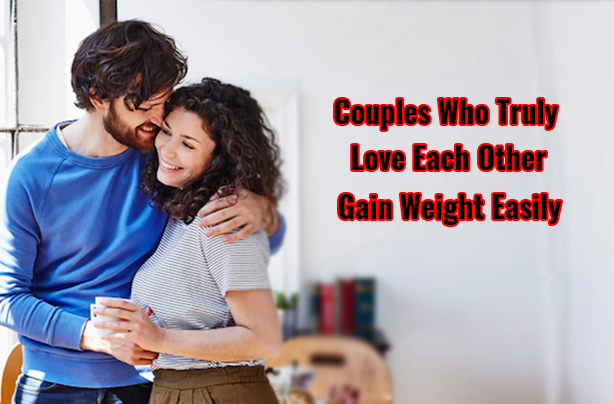 WRONG – there’s good news for you and it’s been proven by studies.It has been found out that when you are in a true relationship, you gainweight more than when you were single. So, if you are a fitness freak, this news must have come to you like a nightmare. So everything’s not that bad being single after all – at least, when it can help you control weight. A leading university in Australia conducted the study with data of over 10 years’ that has records of 15,000 people. It was seen that when people were in a happy relationship, they had an average weight gain of 6kg more than that of people who were single. And if you are in an especially happy relationship, then you will be gaining 2kg every year! And this is not an isolated case. A study in Dallas conducted on 200 newly-weds have come up with the same results – so there must be some truth in it. So go and blame your partner for that expanding waistline! But why does this happen to us? Science always has an answer. And it’s pretty simple. Once you are in a relationship, you lose the motivation to go to the gym and look good – after all, only a shallow partner would leave you if something goes wrong in that area. Also, you’ll be going into repeated romantic dates a lot more.Who would want tobe on a diet on those dates! You’ll probably spend more days sticking together and hanging out with one another. So once the incentive of looking your best is gone, you’ll end up burningfewercalories and before you can even pin it – you have gained 10 pounds! Who would have known even single life had its fair share of benefits! But it’s not all bad. If you were a fitness freak once, then the sudden weight gain would hit you hard, but just be calm. We are all looking for some kind of true love, and you have found it. Your body has its own way of showing it. You are lucky. Above all that, those same studies found out that couples in a happy relationship tend to engage in healthy eating habits and consume less junk food. Singles are high on the chart for eating hamburgers and smoking cigarettes. Yes, you’ll be gaining weight but you’ll be healthier and that counts! Moreover, we have already realized that people who are satisfied with themselves tend to gain weight. This has nothing to do with laziness. The happier you are, the more likely you are to put on weight. Now, is that really something bad?After all, you are happy and that is something everyone on this planet is looking for. So, that extra weight around your waist is just a teeny-weeny sacrifice. Love is a rare thing to find and now that you have got it, let’s cherish it. No one would care about your weight between the two of you. Ignite the fire of love. It’s a gift blind to all imperfections.